On the 20th of August 1838 a young man stood in the dock at the Old Bailey. His name was John Vivian, and he was twenty-four years old. He was five feet eight inches in height, and of slender build. The charge was burglary, and the inventory of stolen goods was pretty impressive. Eighteen spoons worth £9 10s. Sixteen forks worth £10. Six knives worth £2 10s. Three ladles worth £2 10s. A fish-slice worth £1 10s. A coffee-pot worth seven shillings and two wine-strainers worth five. Vivian’s trial had two particularly interesting features. 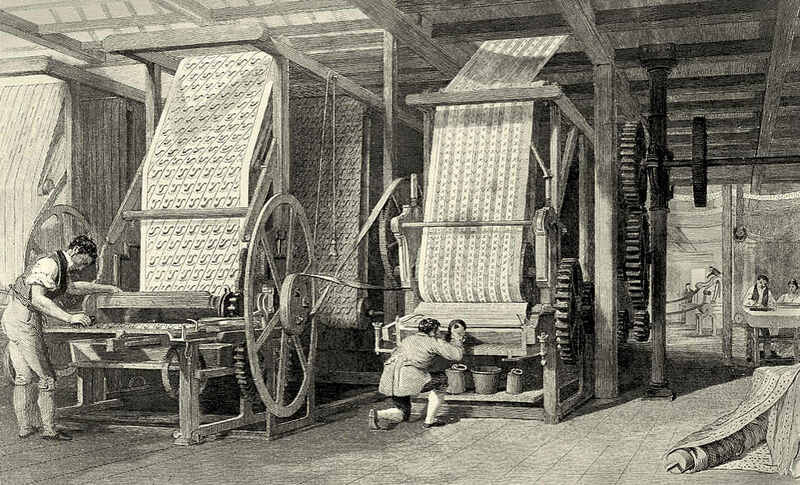 One was the revelation that, although he was a calico printer by trade, he had once been a police constable attached to the B division in Chelsea. As the house that he had burgled was in Chelsea, it would seem that he had put his professional skills to profitable, if not exactly legal, use. The other curious feature was the identity of the principal witness for the prosecution at the trial. But more about this later. 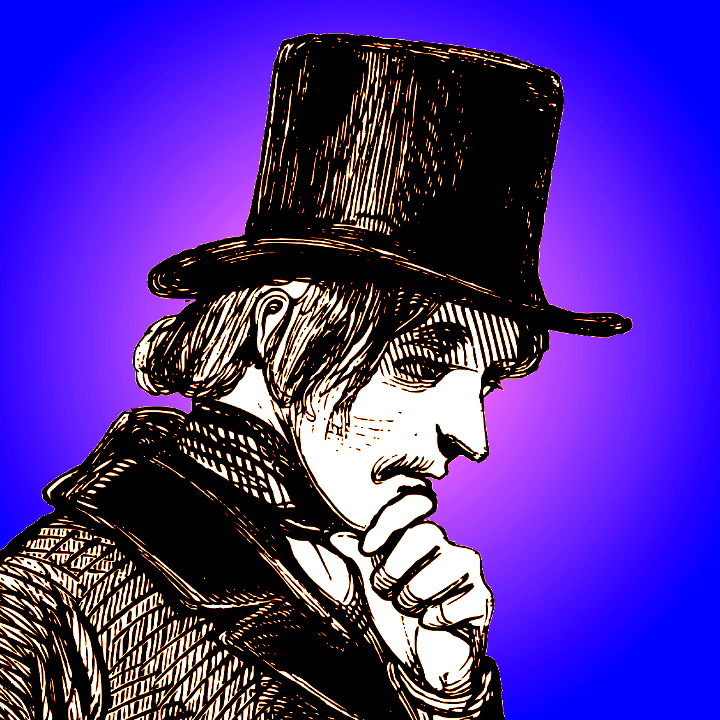 A more pressing matter is the story of the crime itself, so now, as Holmes would have said to Watson, for the facts! Chelsea in 1820. 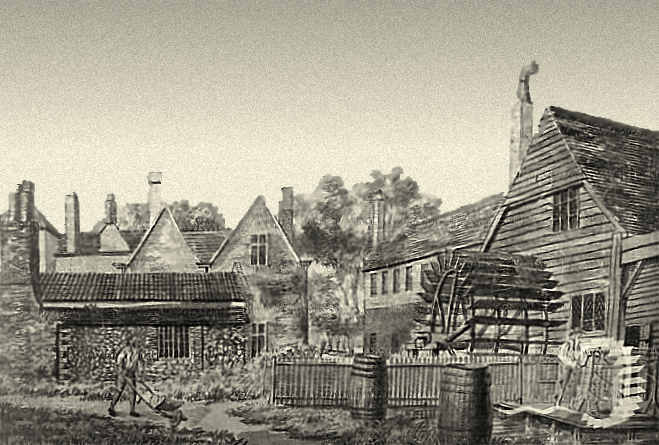 Image in Edward Walford Old and New London volume 5 page 96. On the night of the 11th of August Vivian was walking along the King’s Road in Chelsea. Glancing to left and right with a furtive air, he was making his way past the villas and terraces that stood at was known then and is still known now as World’s End. One of these terraces, on the south side between Millman Row to the east and World’s End to the west, was called Albion Terrace. These were well-appointed residences—in the 1841 census the householders were men and women of independent means—but it was a remote spot. When night fell, the gloomy oil-lamps barely relieved the dark. 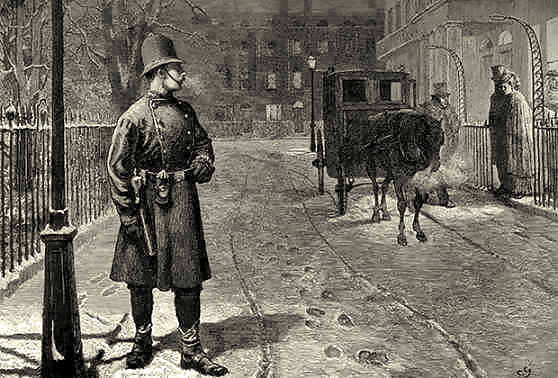 The protection of lives and property was entrusted to private watchmen, who, like the lamps, were few and far between. And it was at no.3 Albion Terrace that John Vivian turned off the road. The house belonged to a John Thompson, who was clearly a man of substance, as he owned the freehold on nos.1, 2, 4 and 5 as well, and a property in Margate—Belmont House—to boot. He had a wife, Georgiana, and four young daughters, and on the night of the 11th neither he nor they were at home in Albion Terrace. Instead they were abroad, in Paris, which turned out to be jolly convenient for John Vivian. In point of fact Vivian knew that the owner and his family were out of town. And the reason he knew was that his sister, whose name was Mary, was a servant in the employ of Mr Thompson, and she had clearly let slip this vital information. A nineteenth-century London bobby keeps his eyes open. Mary was married to a man by the name of John Corner. With the Thompsons away on the Continent, she had been left in charge of the house, where she was visited by her brother every week or so. One can well imagine that they did rather more than simply sit in the kitchen. As a domestic servant Mary would have known every inch of the house, and John would have felt at liberty to roam along every passage and through every room, poking around to his heart’s content. And if that is what he did then he knew just how to go about it, for, as we know, he had formerly been a police office in the Chelsea constabulary. If indeed he looked in cupboards, and under beds, and behind furniture, he did so with an experienced eye. The other skill that his years in the police force had taught John Vivian was the picking of locks. And it just so happened that on the night in question he had a skeleton key in his pocket. Finding that his sister was not there to greet him, and that the house was empty, he let himself in with the key. Mary had simply slipped out to get something for supper—she was back in half an hour—and so what the ex-policeman did in that half hour must have been done on the spur of the moment. He saw his opportunity, and he took it. Now the occupant of the house, as we have seen, was a man of means. As a rule, men of means in the 1830s had silver plate, and John Thompson of Albion Terrace most certainly had silver plate—the spoons and the knives and the other items mentioned at the start—although by the time John Vivian had finished he had a great deal less of it. Curiously, Vivian had found the plate in a leather bag in his sister’s room, where it had been put for greater security. Snatching the bag he fled into the dark in the direction of Battersea Bridge. From there he hurried down across Wandsworth Common, stopping off briefly to bury his haul before heading south towards Tooting, where he lived. Industry along the River Wandle in Wandsworth. John Vivian would have been employed on premises such as these. You will remember that it was stated at the outset that the case had two interesting features. The first—Vivian’s time with the Chelsea constabulary—we have dealt with. What of the second, the identity of the principal witness for the prosecution at the trial? Well, the remarkable fact is that the aforementioned witness was none other than Mary Corner. Vivian, in other words, had been well and truly dropped in it by his own flesh and blood. Why did Mary do this? Most obviously she was afraid of being an accessory after the fact. Then again she might simply have disliked her brother. Maybe she was just honest. Whatever the reason, when she realised that the plate was missing, she went immediately to the police station, where she told the officer on duty, Henry Kimber, that her master’s house had been burgled, and that her brother was likely to be the burglar. Then the next morning she and her mother went down to Tooting to see the reprobate at home, fully intending to have it out with him. Finding Vivian in an upstairs room, Mary accused him of the crime. She was met with indignant denials, and it was only when she warned her brother that a police constable was waiting for him, which was not true, that he admitted his guilt. “Send the constable away,” he said to her in panic, “and I will show you where the plate is!” Mary went downstairs to explain the matter to their mother, and Vivian, no doubt humiliated at being tricked by his sister, agreed to retrieve the stolen goods. Mary was anxious that he should return everything to Mr Thompson, and that she should not in any way be implicated in the burglary at Albion Terrace. 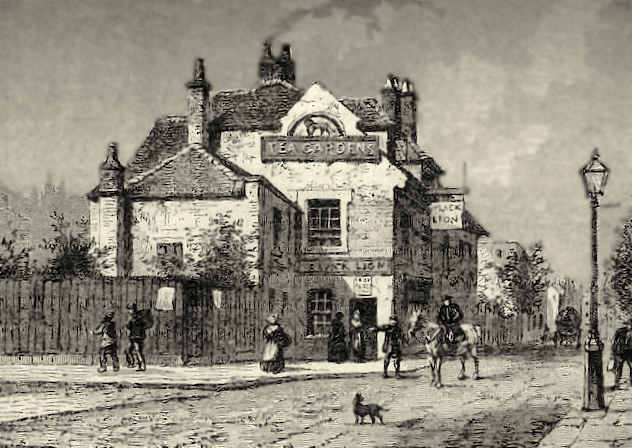 The wretched Vivian led his sister and mother to Wandsworth Common. And there, in a lonely spot far from prying eyes, he lifted up two or three pieces of loose turf to reveal the leather bag with Mr Thompson’s plate. Then, as they were heading off towards Battersea Bridge, PC Kimber hove in view. He had been pursuing his enquiries in Tooting, where, naturally, he had failed to find John Vivian at home. Now he had his man, and he promptly arrested him together with his mother, who for some peculiar reason was carrying the leather bag. Mary, who had already informed against her brother, remained free. The exercise yard in Newgate Prison. Image in Gustave Doré and Blanchard Jerrold London: A Pilgrimage (1872) between pages 136 and 137. So we are back where we started, at the Old Bailey, nine days after the crime. Vivian was tried before David Gregorie—who is buried in Westminster Abbey—and William White. Gregorie and White were inclined to be merciful, and they sent the prisoner down for only six months. Vivian served his time in Newgate Prison on the corner of Newgate Street and Old Bailey. 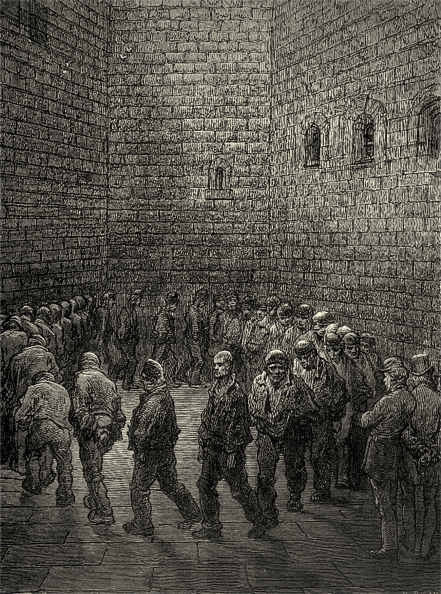 The prison no longer stands—it was demolished in 1904—but Gustave Doré has bestowed on it a grim immortality with his image of the exercise yard. Abandon hope, all ye who enter here. 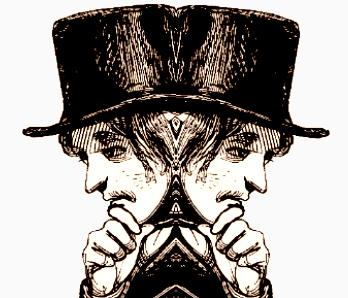 But our feckless burglar did not really belong with Doré’s lost souls. He was not that bad a man—more of a fool than a criminal—and when arrested he owned up. He also denied any involvement on the part of his mother, who of course had been caught by Kimber with the leather bag. Could a son show greater love?